Both are still way behind Nike. Skechers now accounts for 5 percent of the sports footwear market in the U.S., just barely beating out adidas' 4.6 share. That percentage puts the unlikely contender at the number two spot in the sports footwear market in the U.S. The Wall Street Journal reports that Nike and Jordan Brand still have a massive lead – those two combined account for 62 percent of sneakers sold domestically. Skechers's growing influence is connected to the much talked-about "athliesure" movement, which has consumers more interested in cheaper shoes that aren't necessarily intended for performance purposes. Retail sales for Skechers rose by 19 percent for the quarter ending in March, compared to a growth of 10 percent for Nike. 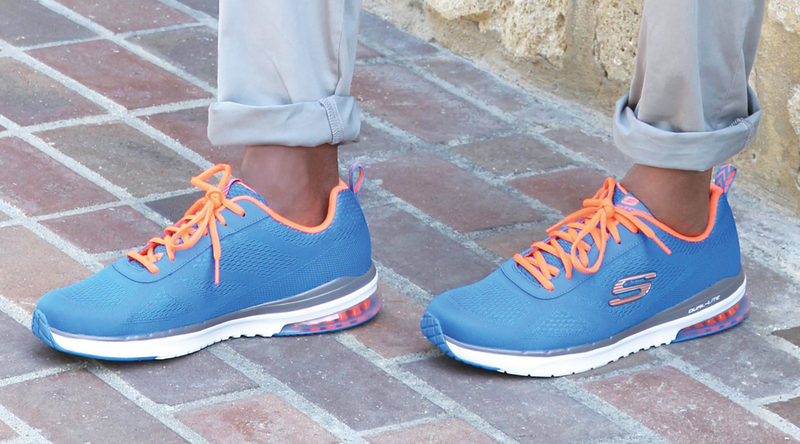 Skechers's sales grew by 29 percent over the last year, with sales reaching $2.4 billion.